If you don’t have time to read these previous posts, do read on, as I give a brief introduction to the Chef’s Essences below. Today’s post focuses on the Magnolia Flower Chef’s Essence. Scroll down to read my review of this essence and to find several recipes using magnolia. Put simply, Aftelier Perfumes’ Chef’s Essences are essential oils, natural isolates, resins and absolutes that can be used to flavour food and drinks. They allow the creation of magical, multi-dimensional, heightened and brand new flavour experiences. They seem high-tech, almost Willy-Wonka-esque, like something from the future, space-age. And yet, they are all based on natural ingredients. One or two sprays or drops of these essences will transform your food or drink into an experience like no other. Known flavours become dramatically intensified, others display flavour nuances and characteristics that you haven’t noticed before in the raw ingredient, and new flavour experiences become possible. Have you ever eaten the following: Frankincense, Fir Needle and Tolu Balsam? I haven’t, and I know I want to experience these ingredients, not just as smells (which is how they are most commonly used and encountered), but as flavours too. I recently interviewed Mandy Aftel for my Thirteen Thoughts: Perfumer Interview Series, and we had some email chats back and forth at the time. In one of these emails I expressed an interest in writing a piece about Mandy’s Chef’s Essences. As Perfume Polytechnic is all about smell (not just perfume), and as this blog has explored phenomena such as synaesthesia, I thought this would be a very suitable and interesting topic for my readers. Mandy very generously offered to send me some samples of some of the Chef’s Essences Sprays. My Chef’s Essence Sprays samples arrived beautifully packaged with a hand written note from Mandy with some suggestions for use. Mandy’s gorgeous parcel, along with a hand-written card containing some suggestions on how to use the Chef’s Essence Sprays. In Part Four today I will focus on Magnolia Flower Chef’s Essence, a lovely floral flavour. I’ve never eaten magnolia before, and I’m not overly familiar with the smell of magnolia flowers. Mandy said that she finds magnolia shares much in common with jasmine, but is greener, and the Aftelier website states that it is a cross between the sharp, sometimes green and rosy scent of geranium and the heady/tropical ylang ylang. Smelling Aftelier’s Magnolia Chef’s essence, I detect the lush headiness of jasmine, but it’s a much sharper and less narcotic floral aroma. Magnolia flowers are one of my favourites, as in South-Eastern Australia they herald the start of spring and warmer weather. I love how the sculptural blooms erupt from spare, leafless branches. 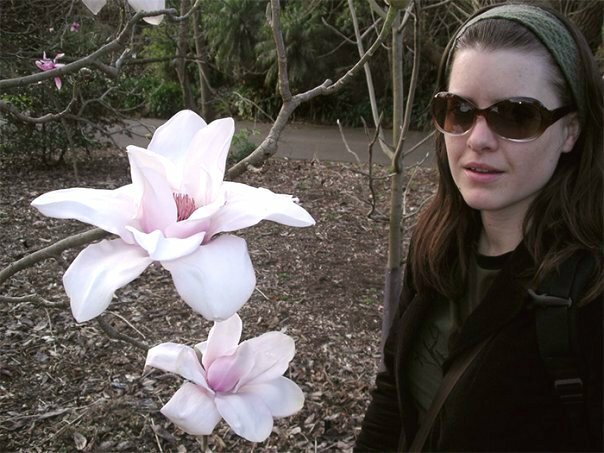 In the Melbourne Botanic Gardens there is a dedicated Magnolia Garden, which boasts the most magnificent and huge blooms I’ve ever seen. The flower in the photo below was bigger than my head. I should mention here that Mandy Aftel made up my sample of Magnolia as a spray, for ease of use, but currently the Magnolia is only available to order as an essence in a dropper bottle. I have provided instructions on how to use both the spray and the dropper bottle (and the quantities) in the recipes below. Mandy suggested I try this essence with tea, and as it is similar to jasmine, I thought it would work well with green tea, which is a common pairing. We only had Genmaicha in the house – a blend of green tea and roasted brown rice grains, so I used that. The result was wonderful. Place 1 1/2 – 2 teaspoons of Genmaicha (or regular green tea leaves) in a pot for two and spray two sprays (or use 1 drop of essence) of Magnolia Chef’s Essence onto the dry tea leaves. If you’re using the chef’s essence with the dropper bottle, give the leaves a thorough stir with a teaspoon to distribute the magnolia evenly. Now boil the kettle. This gives the magnolia a minute or two to infuse into the dry leaves. Fill the teapot and steep for about 3 minutes. You can keep refilling the pot with fresh boiling water and enjoy another cup or two if you like as the leaves and flavour are strong enough to withstand multiple brews. This is a simple baked custard that showcases the delicate, floral flavour of the magnolia essence. Honey is used as the sweetener for this custard. As honey is the end product of pollen harvested from flowers by bees, it is a very suitable accompaniment to the magnolia. You can make this as one large custard, as I did, or pour it into individual ramekins and adjust the cooking time accordingly. Preheat the oven to 160º celsius/325º fahrenheit. Beat eggs in an oven proof dish or pudding basin to combine. Heat the milk in the microwave until hot but not quite boiling, or on the stove. Add honey to the scalded milk and very slowly pour the mixture into the eggs while stirring. If you add all the milk at once you risk curdling and partially cooking the eggs with the hot milk. Add the Magnolia Chef’s Essence and stir. Sprinkle a light layer of ground nutmeg on top of the custard. Place the custard in a deep pan of hot water, so that the water reaches an inch or so up the sides of the custard dish. Bake in the oven for about 40 minutes. The cooked custard will be firm to the touch, yet still a little wobbly. Eat on its own, hot or cold. As the flavours are so delicate and the custard is so creamy, it doesn’t need anything else to accompany it. This is another simple recipe. Chia is flavourless, and the chia pods are made using a very subtle base of coconut milk and banana, to allow the magnolia flavour to shine. 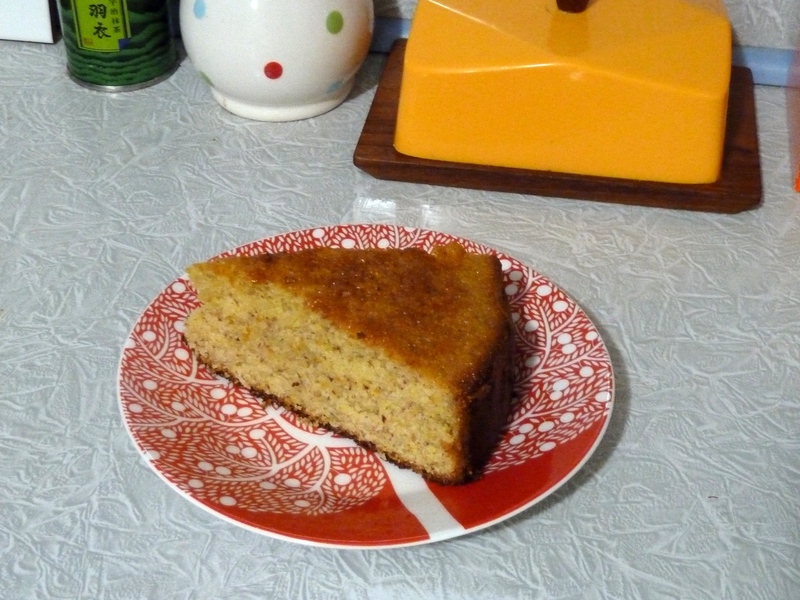 It’s very healthy too, and is mostly sweetened with bananas, and a touch of maple syrup. Chia pods are great for afternoon snacks or dessert, or you could even eat them for breakfast. The beauty with this recipe is that you can add and taste the flavourings (maple syrup, vanilla, magnolia) as you go, and add more if need be. Place all ingredients in a food processor and process until smooth. Taste to see if you’re happy with the flavourings and level of sweetness. Add more vanilla/magnolia/maple syrup if desired. Spoon into ramekins, creme brulee or panacotta moulds, or small glasses. I used some panacotta moulds (6) and then spooned the rest into small tumblers. Cover with lids or plastic wrap. Refrigerate for at least 2 hours before eating. 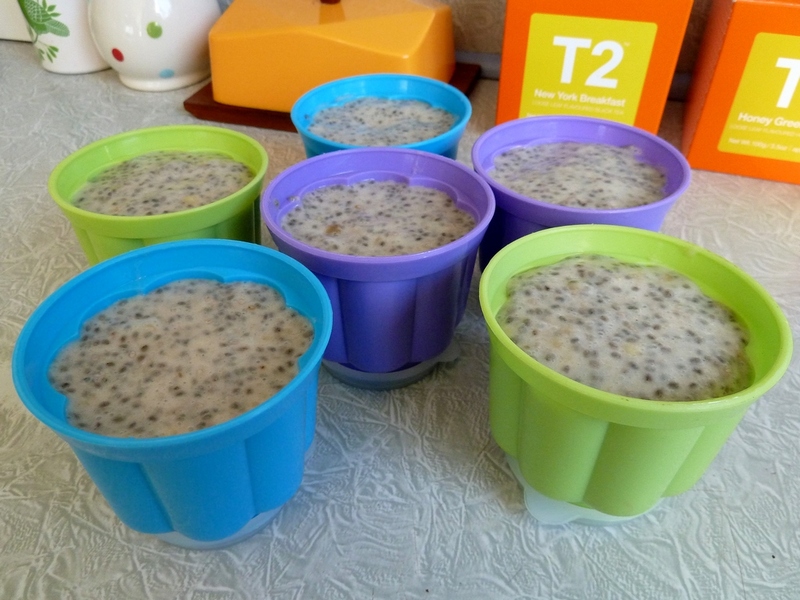 The chia mixture will thicken and set in the fridge, forming a jelly-like texture. These are best eaten out of the container as they don’t set enough to unmould. I hope you’ve enjoyed Part Four of my review of Aftelier Perfumes’ Chef’s Essences. Have you tried any of the range? If so, please let me know in the comments box below which ones you’ve tried and how you used them. I would love to hear about your experiences! 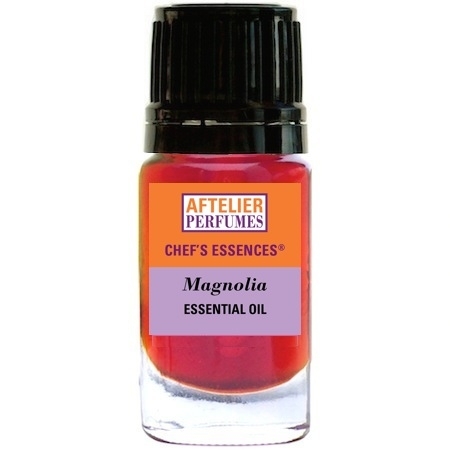 Magnolia Flower Chef’s Essence is available to purchase at the Aftelier Perfumes website. You can peruse and purchase the rest of the range of Chef’s Essences and Sprays at the Aftelier Perfumes website also. The website also has suggestions on how to use the various flavours, as does the Aftelier Perfumes Pinterest account. 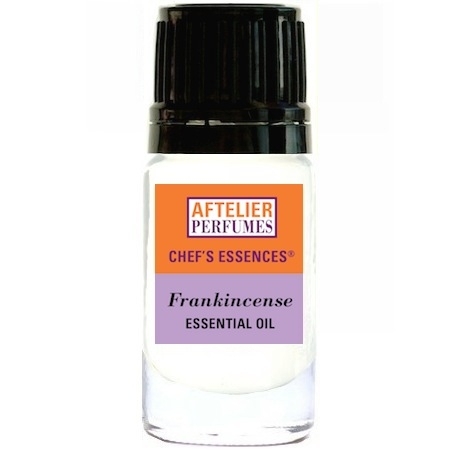 A review of Aftelier Perfumes’ Chef’s Essences Frankincense Spray, including a recipe for a delicious Orange & Frankincense Almond Polenta Cake. Stay tuned or follow this blog so you don’t miss out! Warmest thanks to Mandy Aftel for providing me with generous samples of the Chef’s Essences to review. A few weeks ago I published Part One of my review of Aftelier Perfumes’ Chef’s Essences, which included an extensive introduction to the flavour essences, a brief review of perfumer Mandy Aftel and chef Daniel Patterson’s book Aroma (which inspired the development of the Chef’s Essences range), and a survey of my experiences using two of the Chef’s Essence Sprays: Litsea Cubeba and Black Pepper. To read this post, click here. If you don’t have time to read Part One, read on, as I give a brief introduction to the Chef’s Essences below. 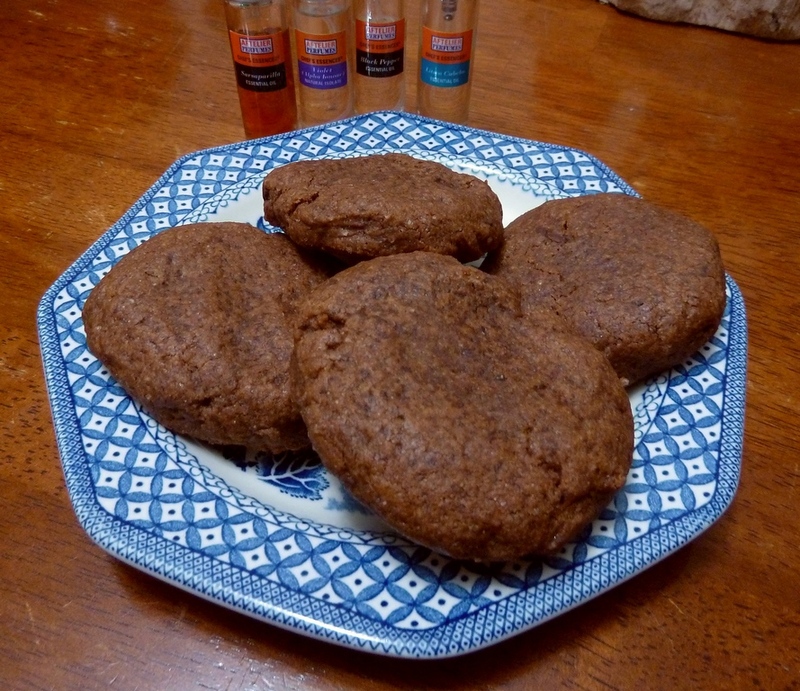 Last week, I published Part Two of my review of the Chef’s Essences, which focused on the Sarsaparilla Chef’s Essence Spray, including a recipe for a delicious Chocolate Sarsaparilla Almond Buckwheat Cookie! To read that post, click here. I recently interviewed Mandy Aftel for my Thirteen Thoughts: Perfumer Interview Series, and we had some email chats back and forth at the time. In one of these emails I expressed an interest in writing a piece about Mandy’s Chef’s Essences. As Perfume Polytechnic is all about smell (not just perfume), and as this blog has explored phenomena such as synaesthesia, I thought this would be a very suitable and interesting topic for my readers. Mandy very generously offered to send me some samples of a few Chef’s Essences Sprays: we decided on Litsea Cubeba, Black Pepper, Violet and Sarsaparilla. In Part Three today I will focus on Violet (Alpha Ionone), which was such a fun, “perfumey” flavour to work with. It took me several weeks of working with and thinking about this essence to come up with some interesting uses and recipes as violet is not used all that often as a flavour, and is associated more with perfumery than with food. My Chef’s Essence Sprays samples arrived beautifully packaged with a note from Mandy suggesting that I add a few sprays onto ice cream, chocolate puddings and to finish off dishes. Mandy had also suggested spraying them onto plain, dark chocolate in a prior email. These ideas gave me a good launching point from which to start my exploration. 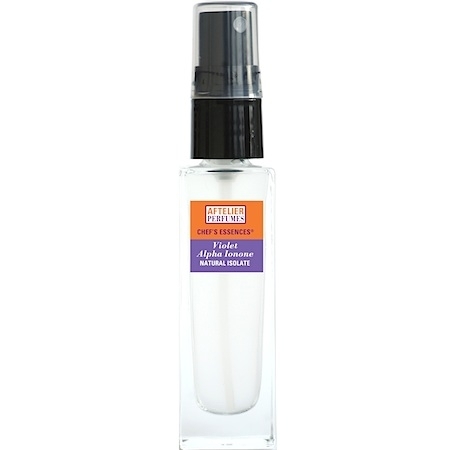 Violet (Alpha Ionone) Chef’s Essence Spray. Photo credit: Mandy Aftel/Aftelier Perfumes. An “old-fashioned” perfumery ingredient, violet was very popular in perfumes of the 19th Century. It became even more popular from the 1890s onwards, when ionones, the molecules naturally occurring in violets (and which make a violet smell like it does), were first extracted. The extracted ionones made the scent of violets more affordable, which made violet fragrances intensely popular among Victorian ladies and into the 20th Century. Prior to the 1890s, the delicate scent of violet flowers could only be extracted using enfleurage, a time-consuming, expensive process, resulting in costly violet perfumes that few could afford. The scent of violets is usually recreated in perfumery through the combination of various different molecules and essences, including three types of ionone molecules naturally present in the violet flower (alpha-ionone, beta-ionone and beta-dihydroionone), violet leaf (which smells very green and more like grass than violet flowers), and other essences. Violet oils, concretes or absolutes are not generally used any more as they are too expensive. The Perfumes and Flavors Technology Handbook has an interesting section on this topic, and you can read the relevant section on Google Books here. So, the Aftelier Perfumes’ Violet (Alpha Ionone) Chef’s Essence Spray really only captures one element of the complex aroma and flavour of a violet flower. However, perfumers and others familiar with the various ionone molecules tend to agree that of all the ionones, Alpha Ionone is the most representative of the floral aspects of violet, and is redolent of the smell of natural violets. Although Alpha Ionone is considered to also possess both fruity and woody aspects, my brain associates the smell of this molecule with violet flowers, before noticing these other nuances. However, knowing that this molecule is also found in various fruits and also in tea (see the quote from the Aftelier website, above) came in handy for this review, as it helped give me some ideas about what to combine the Violet Chef’s Essence spray with, and what might work well. My earliest memory of eating violets was at a friend’s 13th birthday sleepover party. Another friend, gifted with superb pastry-making skills for one so young, created a marvellous Croquembouche for the birthday girl, encrusting it in drizzles of toffee and crystallised violets. I had known about the existence of crystallised violets from a cookbook of my mother’s, but had never eaten them before. I was amazed to discover that they tasted just as they smelt! There are, of course, violet-flavoured lollies and chocolates, including the famous Parma Violets, which have been around since the 1930s. I’ve also heard of violet-flavoured liqueurs and have eaten violet-flavoured macarons. Following Mandy’s suggestion to try the sprays on vanilla ice cream, I thought this would be a good place to start, but I unfortunately overdid it! I sprayed a generous three sprays of Violet onto my scoop, and didn’t mix it in much, which resulted in a very intense, somewhat bitter flavour. My partner, Olly Technic, put one spray on his scoop, and said it was marvellous. So, some culinary advice: go easy on the sprays (you can always add more later), and mix the flavour through the ice cream before eating. If you do this, you will have a very yummy experience indeed! This is a magnificent combination that takes advantage of the fact that both violet and certain berries share the Alpha Ionone molecule. I’m not sure if strawberry actually contains Alpha Ionone, but nevertheless it is very complimentary to violet! Take six medium strawberries (or a serve for one person), hull and halve them. 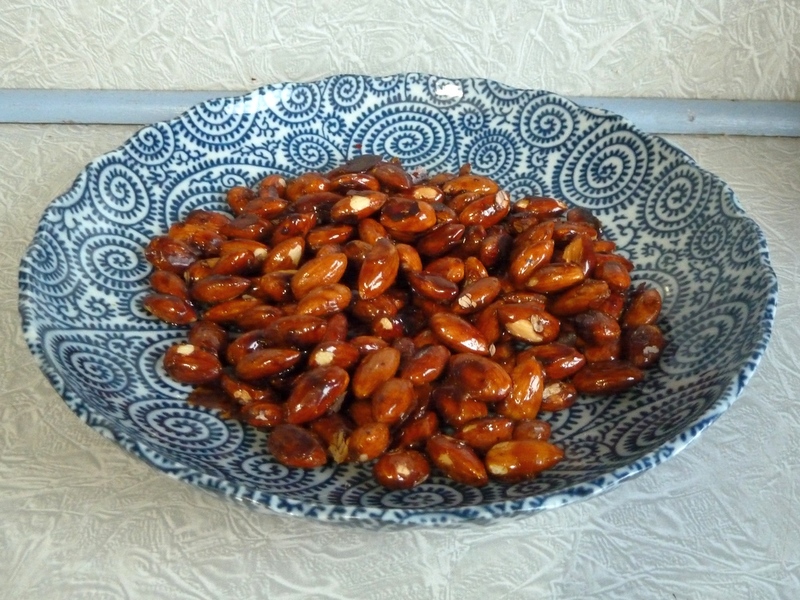 Put them in a bowl and add 2 sprays of Violet Chef’s Essence Spray and about a teaspoon of sugar (I used coconut sugar). Mix it all together with a spoon and let it macerate a little for 10-15 minutes, as the strawberries come to room temperature. Eat alone or with yogurt, cream or ice cream. As cream has such a neutral flavour, and goes well with many desserts, I thought it would be a great ingredient to showcase the violet flavour. Simply stir a few sprays of violet (to taste), and a couple of teaspoons of maple syrup (or more or less, to taste) into double or whipped cream, and serve with your favourite dessert. The great thing about the Chef’s Essence Sprays is that you can add a tiny amount of an intense flavour like violet to your food, taste it, and then add more if you like. I tried this cream with quinces that I baked with vincotto and honey, adapted from a recipe by Australian chef Rosa Mitchell in her Rosa’s Farm cookbook. It was floral, aromatic and delicate and provided a necessary contrast to the tart and tangy quinces. I simply sprayed two sprays of Violet Chef’s Essence onto a 25g bar of white chocolate, and ate it. Yum! Instant violet-flavoured white chocolate! I created a Hot White Chocolate and Violet drink. Simply heat a cup of milk of your choice, break 25g of white chocolate into the bottom of a mug and pour the milk over. Stir to melt the white chocolate and spray three sprays of Violet Chef’s Essence into your mug before drinking. This is sublime and great in the cooler weather. 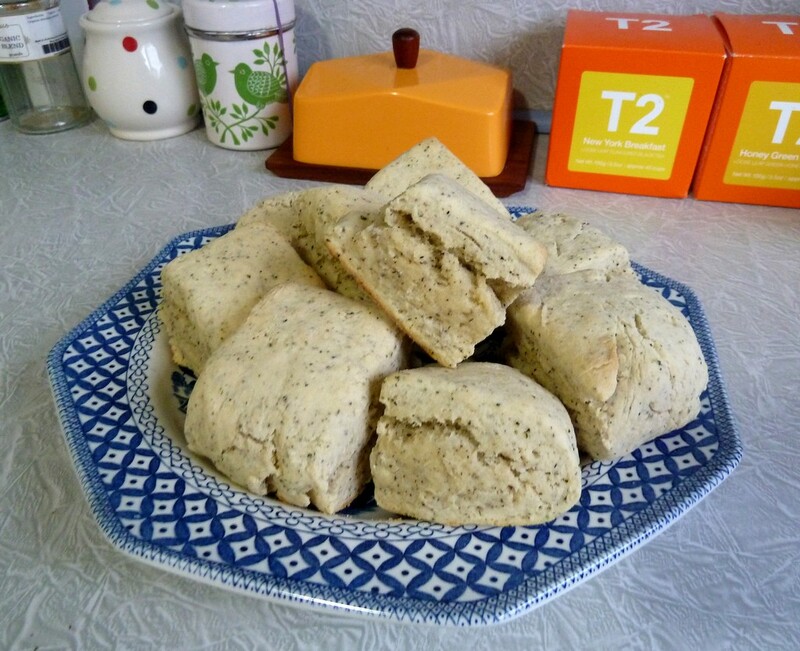 I created this recipe by combining two existing recipes: one for Earl Grey and Violet Shortbread biscuits that I came across on the Internet, and Lavandula‘s famous Lavender Scones, as published in Stephanie Alexander’s Kitchen Garden Companion. As I’ve eaten the Lavender Scones many times, I knew that floral-flavoured scones are delicious, and thought that violet would work well as a flavour in the plain, delicate scone dough. Earl Grey tea is another favourite flavour of mine, but it’s not often used in baked goods in Australia. However, when we travelled in Japan a few years ago, we found many Earl Grey and black tea flavoured baked goods, and I grew to love the taste. As I searched the Internet for ideas on how to use violet as a flavouring, I came across the Earl Grey and Violet Shortbread biscuits recipe and thought the flavour combination would translate well into a scone recipe. Also, as tea and violet both contain Alpha Ionones, I thought this would be a winning combination, and it is! Preheat the oven to 220º celcius. Sift flour, icing sugar and salt into a large bowl. Add the tea (if using tea bags, cut them open and tip the contents into the bowl). Add the cream and mix in quickly with a spatula or butter knife, using a cutting motion. Add 12 sprays of Violet Chef’s Essence, then the milk. Mix these ingredients in quickly and using a light hand. Don’t overmix or the scone dough will be tough, however, you do want to end up with a cohesive ball of dough, not crumbley bits. If necessary, get your hands into the mix and knead it a few times, very lightly, to form a ball. Sift a small amount of flour onto your kitchen counter and turn the dough out onto it. 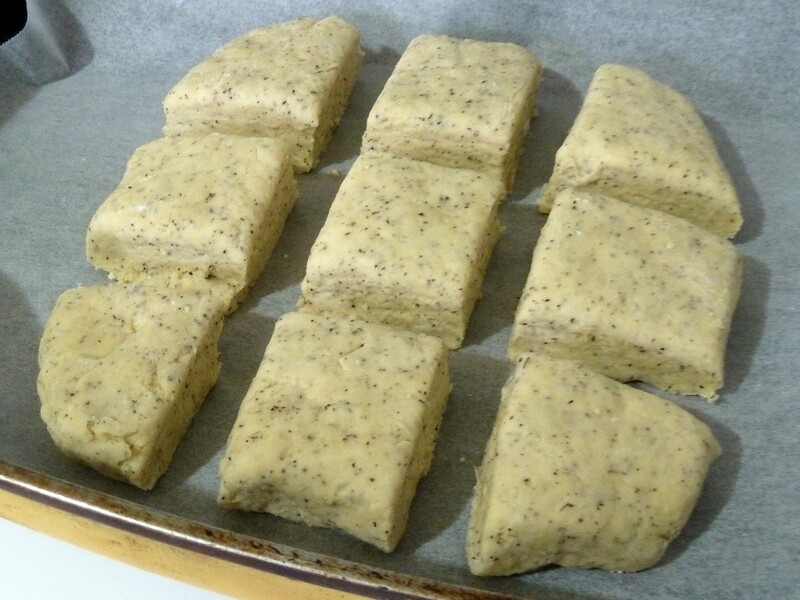 Shape the dough into a rectangle about 2 1/2-3cm thick with your hands. Cut into even squares with a knife, about 5-6cm square. Violet and Earl Grey Tea Scones, ready for baking. Sift a small amount of flour onto a baking tray to prevent the scones from burning and sticking underneath. Alternatively, use a non-stick baking paper, if you don’t like flour on the bottom of your scones (this is what I did). Separate the scones and place them about 1.5cm apart on the tray. I personally like it if the scones join up a little when baking, as it helps keep the edges a bit moister. Bake the scones in the centre of the oven for 5 minutes, or until starting to turn a little bit golden on top. Reduce the oven temperature to 180º celcius and bake for a further 10 minutes. The scones should be cooked underneath (but not too dark), and tinged gold on top. If they look a little raw inside, keep cooking for two extra minutes at a time, but be careful not to overdo them. You don’t want dry, hard scones! Remove the scones from the oven and cool a little before splitting them in half and eating with butter or a berry jam and thick cream. Remember that some berries also contain Alpha Ionones (like violet and tea), so berry jam is a great topping! I hope you’ve enjoyed Part Three of my review of Aftelier Perfumes’ Chef’s Essences. Have you tried any of the range? If so, please let me know in the comments box below which ones you’ve tried and how you used them. I would love to hear about your experiences! You can purchase the Chef’s Essences and Sprays online at the Aftelier Perfumes website. The website also has suggestions on how to use the various flavours, as does the Aftelier Perfumes Pinterest account. A review of three more Chef’s Essences: Frankincense, Coriander Leaf and Magnolia Flower will follow some time in the next couple of months. Stay tuned or follow this blog so you don’t miss out! I’m really looking forward to trying these new Chef’s Essence Sprays from Mandy Aftel and want to thank her warmly for providing me with generous samples to try, for this series of reviews, and the next! Last week I published Part One of my review of Aftelier Perfumes’ Chef’s Essences, which included an extensive introduction to the flavour essences, a brief review of perfumer Mandy Aftel and chef Daniel Patterson’s book Aroma (which inspired the development of the Chef’s Essences range), and a survey of my experiences using two of the Chef’s Essence Sprays: Litsea Cubeba and Black Pepper. To read this post, click here. Last week I wrote extensively about my experiences using two of the Chef’s Essence Sprays: Litsea Cubeba and Black Pepper. To read this post, which includes suggestions for use and some simple recipes, click here. In Part Two today I will focus on Sarsaparilla, which was gorgeous yet somewhat challenging to use as it is not a very commonly used flavour. It took me several weeks of working with and thinking about it to come up with some exciting applications and recipes. Sarsaparilla is a flavour close to my heart. When I was a young child, my late father would take my brother and I to an old stone pub in the seaside town of Robe, where we had a holiday house. Dad would have a beer, but being way too young to drink, my brother and I would always have a “pub sars” as Dad called it. This was my first experience of the unique flavour of sarsaparilla, which (in Australia) is a drink that has characteristics a little bit like Coca-Cola, a lot like vanilla, along with some interesting herbal and medicinal notes. The “sars” was always served straight from the tap in the pub, and my brother and I drank it sitting on high stools in front of the raging, enormous open fire, feeling very grown up indeed. Sarsaparilla is not readily available in most countries, although many pubs and most major supermarket chains in the Philippines, Taiwan, Malaysia, and Australia stock sarsaparilla-flavored soft drinks, and sarsaparilla remains available in the United Kingdom as a legacy of the Temperance movement. Australian sarsaparilla has a different flavor from American root beer or sarsaparilla. Bundaberg [an Australian soft-drink company] brews sarsaparilla from “real sarsaparilla root, licorice root, vanilla beans, and molasses. Aftelier Perfumes’ Sarsaparilla Chef’s Essence Spray contains the essential oil Hemidesmus Indicu (CO2 extract), which is Indian Sarsaparilla, diluted in organic grain alcohol. Following Mandy’s suggestion to try the sprays on vanilla ice cream, I thought this would be a good place to start, but I unfortunately overdid it! I sprayed a generous three sprays onto my scoop, and didn’t mix it in much, which resulted in a very intense, somewhat bitter flavour. My partner, Olly Technic, put one spray on his scoop, and said it was marvellous. So, some culinary advice: go easy on the sprays (you can always add more later), and mix the flavour through the ice cream before eating. If you do this, you will have a very yummy experience indeed! I cored a couple of aging apples that needed eating and sprayed the inside of each of them with two sprays of Sarsaparilla Chef’s Essence Spray. Then, I stuffed them with a mixture of sultanas, chopped roasted almonds, ground cinnamon, some butter and a little coconut sugar. As I’m an improvisational cook, I didn’t write down the measurements for all this, so you’ll have to wing it and combine things according to your taste and the size of the apples you need to stuff! I baked the apples until they were soft and collapsing a little and served them with thick cream. The Sarsaparilla contributed a warm, vanilla-like flavour and was very complimentary to the dried fruit stuffed inside the apples. Yes. On ham. This was, hands down, the most fabulous (and unexpected) use of the Sarsaparilla Chef’s Essences Spray. I came across a recipe for a leg of ham baked in sarsaparilla, and I thought “why not spray some on sliced leg ham instead?” It’s much easier than baking a whole leg of ham and it works amazingly well: the warm and rich vanilla/root beer flavours really offset the sweetness of the ham. And, if you like grilled cheese and ham on toast, add one or two sprays of Sarsaparilla Chef’s Essence to each slice, after grilling for maximum potency. Yes, the name is a mouthful, but they sure do make a very decadent and tasty mouthful, so it’s apt! I had a hunch chocolate and sarsaparilla would combine well, so I set about finding a good, wholesome and chunky chocolate cookie recipe and then modifying it. I used The Adult Chip recipe from Saltie: A Cookbook as a point to launch this recipe from, and deviated from it sufficiently that I can confidently call it my own. For those of you with gluten and grain intolerances (buckwheat is a seed, not a grain), this is a treat you can enjoy while not upsetting your tummies! The buckwheat flour and almond meal are rustic and compliment the robust flavours of chocolate and sarsaparilla, without overwhelming them. Preheat the oven to 165º celcius. Combine the almond meal, buckwheat flour and cocoa powder in a large mixing bowl. Place the butter (softened) and sugar in another large bowl, or in the bowl of an electric mixer, and mix with electric beaters (or mixer) until fluffy. Add the flour mixture from the other bowl, the vanilla, the egg, and the Sarsaparilla Chef’s Essence Spray (just spray it into the bowl directly). Mix some more. This can be very hard going on the electric mixer as it’s a thick dough. If your mixer isn’t coping well, use a wooden spoon instead and mix by hand until well combined. Be careful not to overwork the dough as it can make the cookies tough. Fold through the chopped chocolate evenly with a spoon, or the mixer if it can manage. Gather the dough into a ball in the bowl, cover with cling wrap, and refrigerate for 1/2 hour. Line two baking trays with non-stick baking paper. This will save you from having to grease the trays. Roll the cookie dough into 1 1/2 – 2 inch balls, place them on the trays, and flatten each slightly with your hand. Place them on the tray about 1 1/2 – 2 inches apart. You will have about 15 cookies, but it doesn’t really matter if there are a couple less, or more. Cook for about 12-15 minutes, until they are starting to brown underneath and around the edges. Check around 10-12 minutes to make sure they aren’t too dark underneath. Take them out of the oven when done and let them sit in the tray for a moment, before carefully removing to a cold plate (not a rack, as they are quite delicate at this point). Spray each cookie with one spray each of Sarsaparilla Chef’s Essence. As the cookies are still warm and permeable, this will give them an extra boost of Sarsaparilla flavour. Let them cool completely, that is, if you can resist eating them when they are gooey and warm and oozing molten chocolate! Store in an airtight jar for up to 5 days. They may last longer. Ours didn’t last long enough for me to find out! The cookie dough also freezes very well, if you want to cook the cookies in two batches, which is what I did. Make sure you wrap the dough in at least two layers of cling wrap to prevent freezer burn. When you’re ready to bake the cookies, simply defrost the dough for a few hours and cook following the directions above. Alternatively, you can shape the cookies prior to freezing, and separate them with layers of non-stick baking paper, and then wrap well with cling wrap. I did the latter, and it worked well. I hope you’ve enjoyed Part Two of my review of Aftelier Perfumes’ Chef’s Essences. Have you tried any of the range? If so, please let me know in the comments box below which ones you’ve tried and how you used them. I would love to hear about your experiences! Part Three of the Aftelier Perfumes’ Chef’s Essences Review, in which I write about my experiences with the Violet Chef’s Essence Spray, and share another very yummy recipe for a baked good that will add excitement to your afternoon tea, is coming very soon! Being interested in all kinds of cross-sensory, sensuous experiences, and also being an adventurous home cook, I was very excited to learn about perfumer Mandy Aftel’s Chef’s Essences late last year. I love cooking, and often improvise in the kitchen; once I understand the principles behind a recipe or dish I like to add unusual flavours to recipes, adding my own twist, or combining unusual ingredients. And, as I also love perfume, the idea of putting essential oils and absolutes in my food appealed very much. I like all kinds of non-binary thinking and blurring of boundaries, so when I discovered that ingredients commonly thought of as suitable for sniffing only could actually be edible (and safely so), I was very intrigued! I recently interviewed Mandy Aftel for my Thirteen Thoughts: Perfumer Interview Series, and we had some email chats back and forth at the time. In one of these emails I expressed an interest to Mandy in writing a piece about her Chef’s Essences. As Perfume Polytechnic is all about smell (not just perfume), and as this blog has explored phenomena such as synaesthesia, I thought this would be a very suitable and interesting topic for my readers. Mandy very generously offered to send me some samples of a few Chef’s Essences Sprays, and asked me which flavours appealed. Violet and Sarsaparilla appealed, and she offered to send those two. She also suggested I try a couple of flavours that were more familiar — Black Pepper and Litsea Cubeba (a citrussy, lemon-like flavour that I had not actually used) — so that I could detect the similarities and differences between using the raw ingredients and the essential oil version. The familiarity with these flavours (or flavours like them, in the case of the Litsea Cubeba) also allowed me to use them easily, and to think of suitable applications without too much difficulty. The Violet and Sarsaparilla however were more challenging to use, and it took me several weeks of working with and thinking about them to come up with some exciting applications and recipes. I look forward to publishing these for you in the coming weeks, in Part Two and Three of this post. Chef’s Essences come in both concentrated form (small bottles with a dropper cap) and in spray form, in which the essential oils and natural isolates are diluted with organic grain alcohol. As well as the four flavours Mandy sent me, there are another 13 Chef’s Essence Sprays to choose from, including Blood Orange, Butter, Sweet Basil, Pear and Spearmint. 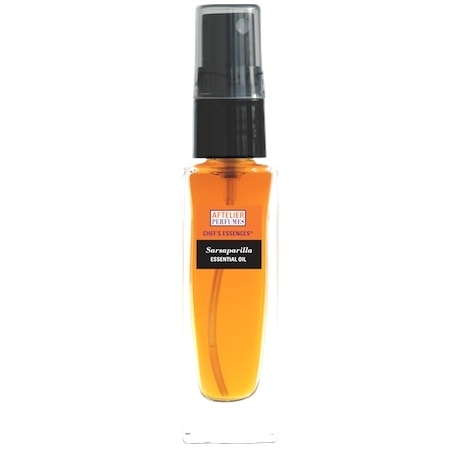 All the sprays come in 30ml bottles (230+ sprays per bottle) and can be purchased from the Aftelier Perfumes website. The sprays are very versatile and easy to use as they can be added both during and after cooking, to complete a dish. 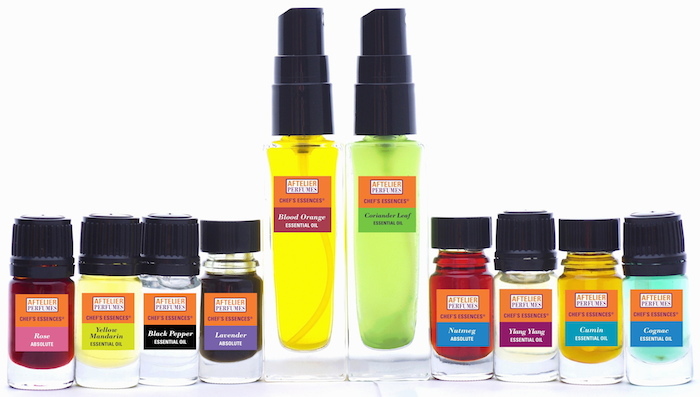 As well as the sprays, the original Chef’s Essences range comes in concentrated, 5ml bottles with dropper caps. There are currently 54 Chef’s Essences to choose from, including some very unusual flavours such as Ylang Ylang, Magnolia Flower and Shiso as well as more commonly used flavours like Coriander Leaf, Cinnamon, and Thyme. The original Chef’s Essences range can also be purchased from the Aftelier Perfumes website. 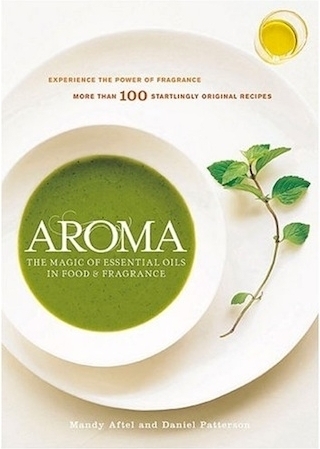 The Chef’s Essences range grew out of a book that perfumer Mandy Aftel co-authored with Michelin-star awarded chef Daniel Patterson in 2004, called Aroma: The Magic of Essential Oils in Food and Fragrance. I’m lucky enough to own a copy of this now somewhat difficult to find book (click on the link above to purchase it from Aftelier Perfumes), and it’s a wonderful publication. Aroma introduces the reader to the concept of using essential oils in food, as well as in fragrance and fragranced products. When used in food and drinks, essential oils, absolutes etc. can add new and interesting aromas and flavours that aren’t often part of our existing flavour vocabulary. They can also be used as a more intense version of commonly used flavours, such as ginger and lime. Essential oils can also be used to replace certain flavours (e.g. fresh herbs like basil or coriander) that might not be available seasonally. 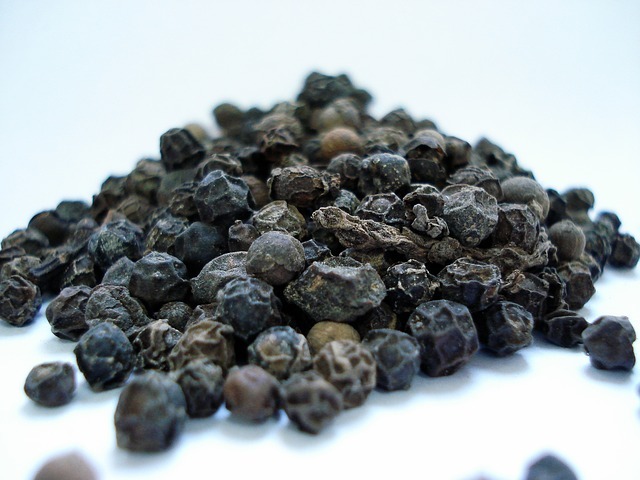 Interestingly, the extraction processes used to create the essential oils sometimes change the qualities of the flavour of a well-known ingredient; for example, black pepper, which loses all its heat. Aroma contains both food and drink recipes and recipes for perfume and perfumed products based on specific essential oils, as well as information on where to source essential oils, gourmet foods, kitchen essentials, and perfume making equipment. Aroma also contains recipes for some of the essences now incorporated into the Chef’s Essences range, including Litsea Cubeba, Shiso, Spearmint and Cepes Mushroom, so the book can help give you some inspiration and background on how flavour essences can be used in cooking. Beg, buy, borrow, or steal a copy of Aroma if you can! You won’t regret it; Aroma contains inspiring recipes that straddle the worlds of smell and taste and it’s a great addition to any cookbook library. “Have you ever wondered why food loses its flavor when you have a cold? It’s not your taste buds’ fault. Blame your stuffed-up nose. Seventy to seventy-five percent of what we perceive as taste actually comes from our sense of smell. Taste buds allow us to perceive only bitter, salty, sweet, and sour flavors [and umami]. It’s the odor molecules from food that give us most of our taste sensation. The term flavour is often misunderstood to mean the taste of a particular food or drink. In fact, flavour refers to a combination of taste (the bitter, sweet, salty, sour and umami sensations that our taste buds detect) and aroma ( the scent molecules that the nose/olfactory receptors detect). Together, aroma and taste combine to form flavour. Aftelier Perfumes’ Chef’s Essences are so special because they seem to magnify the interrelationship between taste and aroma. They also demonstrate, as highly aromatic substances, the primacy of smell in determining the majority of the flavours that we experience. My Chef’s Essence Sprays samples arrived beautifully packaged with a note from Mandy suggesting that I add a few sprays onto ice cream, chocolate puddings and to finish off dishes. Mandy had also suggested spraying them onto plain, dark chocolate in a prior email. These ideas gave me a good launching point from which to start my exploration, and I decided to use the Litsea Cubeba and the Black Pepper first, as I could immediately think of many uses for them. 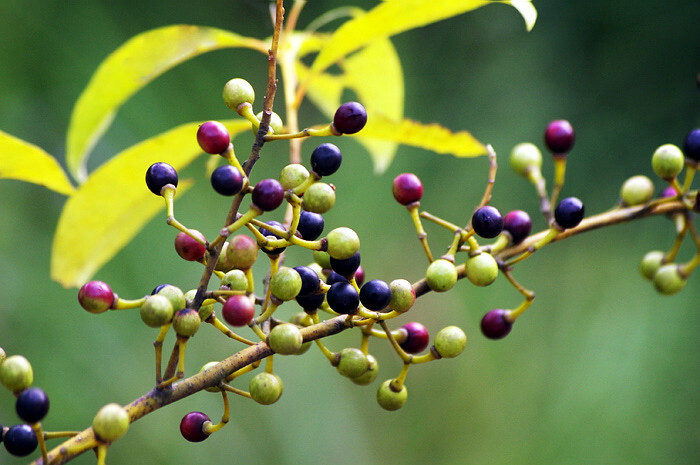 Litsea Cubeba, also known as May Chang or Mountain Pepper, is distilled from the small, pepper-like fruits of the Litsea Cubeba tree. It has a taste and smell similar to that of lemongrass or Lemon Myrtle, a beautiful Australian native shrub which is used as a herb. The flavour of Litsea Cubeba is lemony, but not as acidic or sour as lemon, and is quite aromatic, like lemongrass. It has a very bright, sunny, yet sweet character and livens up any food that you add it to. Litsea Cubeba Chef’s Essence will become a staple in my kitchen as it is so versatile. It is a wonderful replacement for the more commonly used citrus flavours, while fulfilling similar flavour functions. I sprayed some Litsea Cubeba onto grilled salmon in place of the lemon I would normally squeeze onto the fish at the end of cooking. I also added a little smoked sea salt and ground black pepper. As a less acidic/sour flavour than lemon, I found I needed quite a few sprays (5-6 per fillet) to really notice the Litsea Cubeba, and for it to soak into the fish beyond the surface. It was a lovely combination though, and I’m considering marinating the fish in it next time, along with some olive oil, prior to cooking to ensure that the flavours penetrate the fish a little more. Litsea Cubeba is amazing on avocado! 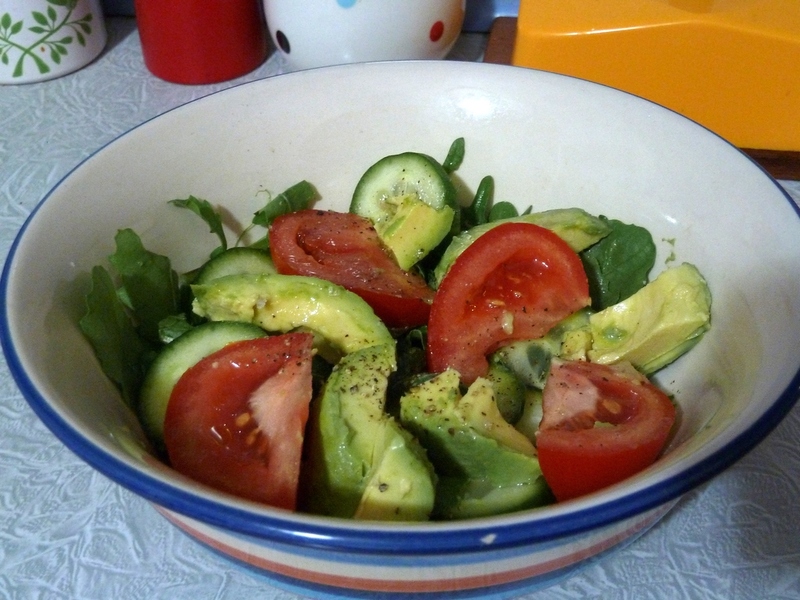 Cut a ripe avocado in half, spray twice with Litsea Cubeba, sprinkle with sea salt and eat with a spoon. You can’t get much better than this: it’s utter simplicity, but the creamy, neutral base of the avocado really allows the Litsea Cubeba to sing! Take six medium strawberries (or a serve for one person), hull and halve them. Put them in a bowl and add 2 sprays of Litsea Cubeba and about a teaspoon of sugar (I used coconut sugar). Mix it all together with a spoon and let it macerate a little for 10-15 minutes, as the strawberries come to room temperature. Eat alone or with yogurt, cream or ice cream. Cut up some fresh pineapple into cubes (enough for one person). Put it in a bowl, spray 2-3 times with Litsea Cubeba and sprinkle with a teaspoon of coconut sugar (or sugar of your choice). Mix it all together with a spoon and leave it to macerate a little for 10-15 minutes. This is intense and amazing. You don’t need to add anything to this dish – it’s perfect as is without any accompaniments. The pineapple and Litsea Cubeba compliment each other beautifully: both are bright and sweet and tangy and they are a match made in heaven! Simply cut a kiwi fruit in half (I used gold kiwis), spray each half once with Litsea Cubeba, leave for a few minutes and eat with a spoon. Yum! Litsea Cubeba sprayed onto apricot jam on toast is simply incredible. I have some gorgeously sunny, thick and tangy apricot jam that I made with fruit from a friend’s tree in Autumn. The jam is divine on its own, but with one spray of Litsea Cubeba, the flavour of the apricot really pops and the wow factor is amplified more than the sum of its parts. This is a “must do” now every time I eat apricot jam on toast! Mandy Aftel explained in an email that the Black Pepper spray doesn’t taste hot, as ground black pepper does. This allows for all sorts of other elements of flavour in the pepper to come to the fore and get noticed by the nose and taste buds, which is really interesting to experience. The Black Pepper Chef’s Essence Spray tastes quite woody and almost resinous to me, and a bit like frankincense. I also detected a subtle pine needle note, and something a bit fruity. It’s lovely and is another incredibly versatile Chef’s Essence that you can use on most foods, just as you would ground black pepper. Just don’t expect it to be hot! I replaced my usual ground black pepper with the Black Pepper spray (one spray per egg), adding a little sea salt, and serving the eggs on plain, buttered toast. To get to know these new flavours, it really helps to try the Chef’s Essences (at least at first) on fairly simple and plain foods, like eggs, in order to fully experience the flavour and any subtler nuances that might be masked by more complex foods. Black pepper and strawberries is an unusual combination, but I have heard they are complimentary, so I thought I would try it out with my new Black Pepper spray. The combination works incredibly well and the woody, resinous flavour of the pepper enhances the sweetness and flavour of the strawberries beautifully. Take six medium strawberries (or a serve for one person), hull and halve them. 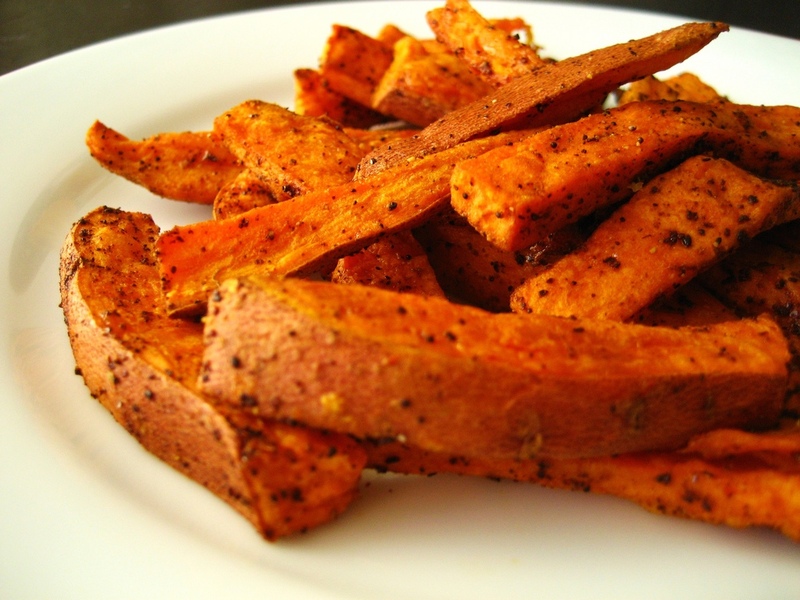 Put them in a bowl and add 2-3 sprays of Black Pepper and about a teaspoon of sugar (I used coconut sugar). Mix it all together with a spoon and let it macerate for 10-15 minutes, as the strawberries come to room temperature. Eat alone or with yogurt, cream or icecream. I ate mine with coconut yogurt, a really yummy accompaniment. I added one spray per small slice of roast beef. The woody, aromatic properties of the pepper compliment the beef so well. This was my favourite use of the Black Pepper spray. In this variation on a classic Caprese salad (mozzarella, tomatoes and basil), I added both Black Pepper and Litsea Cubeba sprays, to great effect. Slice the tomatoes into sturdy slices at least 1/2cm thick. Shave or slice the zucchini into thin pieces lengthwise. Slice the cheese into pieces about 1/2 cm thick, or if you’re using little bocconcini, halve them. Arrange the rocket on the bottom of a plate or a shallow salad bowl, and top with slices of zucchini, tomato and cheese. You can do this artfully or more haphazardly, it doesn’t really matter. I tend to layer the ingredients a little. Strew the basil about (or tuck in between layers), spray with 3-4 sprays each of Litsea Cubeba and Black Pepper Chef’s Essences, drizzle on a good quality olive oil, and sprinkle lightly with sea salt. Leave the salad alone for 10 minutes or so for the flavours to combine and then tuck in with gusto! You can toss the salad gently to help the Chef’s Essences really do their thing, but be careful not to destroy the tomatoes. Melita’s Caprese-esque Salad goes well with grilled meats or fish of any kind, and is marvellous to eat on a hot Summer’s day. I haven’t delved into the use of the Chef’s Essences in drinks yet with these two flavours. I’m not much of a drinks person: I tend to drink water (copious amounts of it), tea, and occasionally alcohol. However, in part three of this post on Chef’s Essences, I’ll provide you with a recipe for a really luscious hot drink. I have read that the Chef’s Essences work beautifully in cocktails, as discussed in this 2012 article in the New York Times. 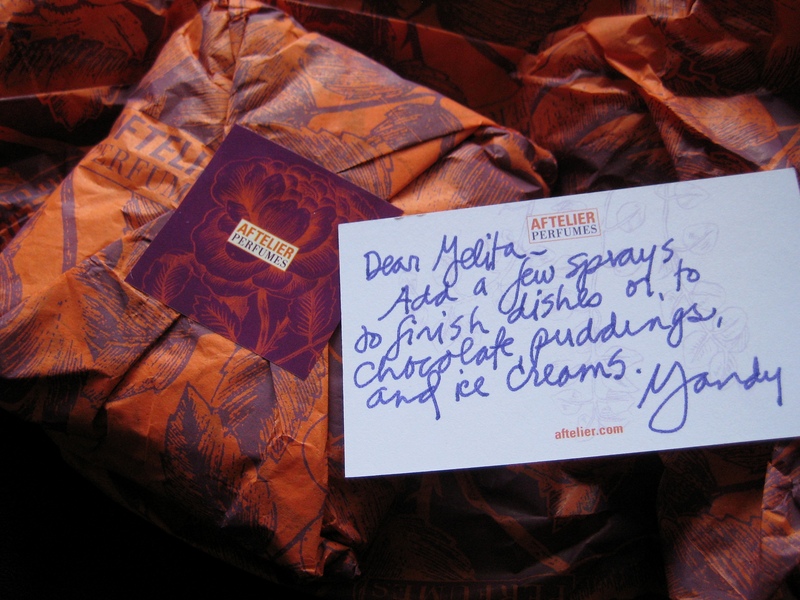 I hope you’ve enjoyed Part One of my review of Aftelier Perfumes’ Chef’s Essences. Have you tried any of the range? If so, please let me know in the comments box below which ones you’ve tried and how you used them. I would love to hear about your experiences! Part Two of the Aftelier Perfumes’ Chef’s Essences Review, in which I write about my experiences using Sarsaparilla Chef’s Essence Spray, and provide some exciting suggestions for its use, including a really exciting cookie recipe, is coming soon!